While we are in development on making a drop in for the larger size core, many of our off road and modding community currently will use this unit in place of the 20 and 22 inch tall core models. 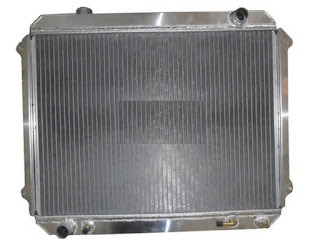 The 22, 20 and 18 inch tall toyota radiators all bolt in directly to the 3.4, 2.7 and 2.4 trucks in a similar manner. yes, this shorter radiator will fit fine. The alterations come in the hoses and fan shroud. Most toyota tacoma, 4runner and pickup offroaders and modders are 3.4 guys all wanting a shorter rad that will be above the frame rails. If the truck is a 3.4 the upper OEM radiator hose stays the same. The lower has to be changed. Most users have found that dayco c71765 slightly cut fits the lower very well. The 18 inch core uses a different radiator cap as well which you can easily adjust for. Lastly the shroud issues...basically you can run without one, build one, or swap to an electrical fan setup. As far as bolt on there is no shroud that bolts up without modification and works with the 3.4 Manual fan. We suggest a 16 inch fan (Link to item) which can be core mounted or attached to your fabricated built shroud. Final thing to look at with this swap... is cooling. 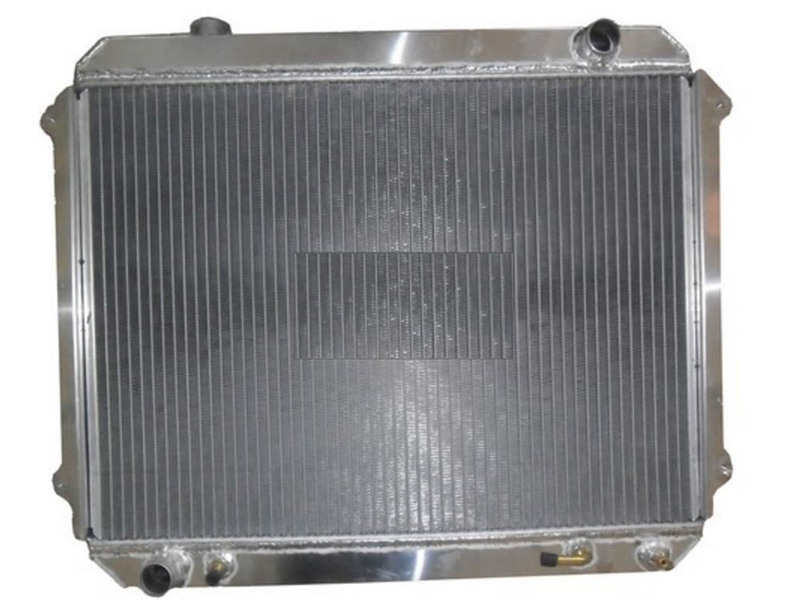 Will this smaller radiator cool enough for the larger size originals? Many people get concerned about loosing 4 inches of cooling but there are other guys running supercharged 3.4s that haven't had any issues with the 18 in the summer. The 18 fully clears the bottom of the frame rail. When we do put the 20 and 22 inch into production (We need more demand so sound off with some comments!!!) We'd say go for that model. until we do, feedback has been that the 18 inch is cooling just fine in the summer months. Seeing as the 18 inch tall all aluminum radiator clears the bottom of the frame rails, it makes for a good swap item.